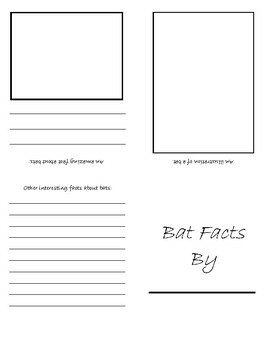 This graphic organizer can be used after reading informational texts about bats. Works well for use during reading groups with multiple levels of books about bats. Illustration can be a simple drawing or a detail diagram of a bat. Facts are written based on what was learned while reading. Students enjoy sharing their books with their peers. Print single sided and fold into fourths like a card.